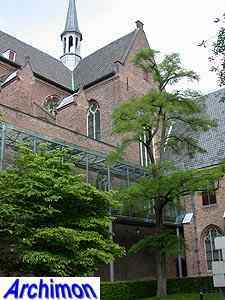 St. Catharine's church was originally intended to be the church of the nearby Carmelite monastery, when it was still dedicated to St. Agatha. 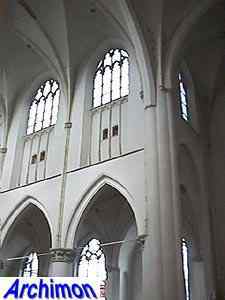 But in 1529 another order took over the monastery and finished the church in 1551. 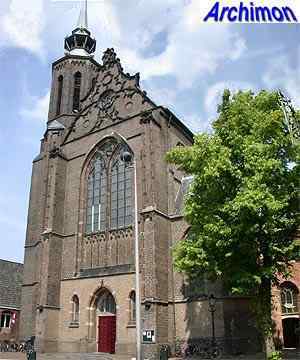 Probably Rombout II Keldermans was responsible for the final design, which included the finely decorated gable. 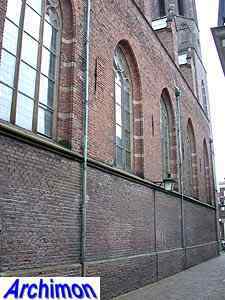 After the Reformation the building served several profane goals before in 1636 it became a reformed church. 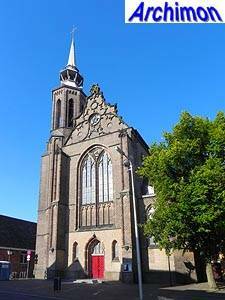 In 1815 the church returned in the hands of the catholics, first as the church for the catholic members of the military garrison, from 1842 as a normal parish-church. 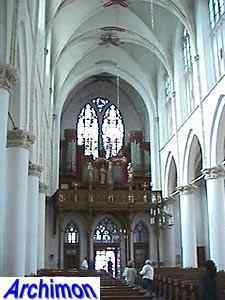 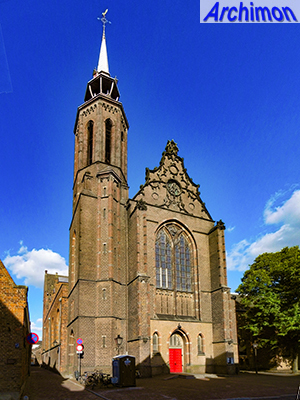 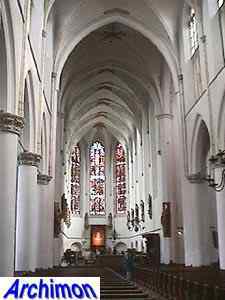 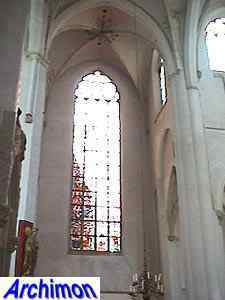 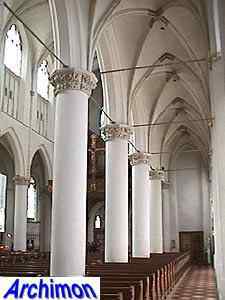 Despite the presence of a large catholic community in Utrecht, the St. Catharina is the only church in this city that was restituted to them. 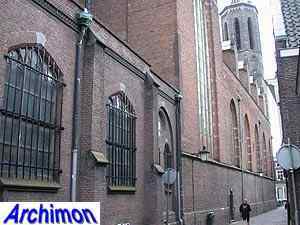 When in 1853 the catholic hierarchy was fully restored in the Netherlands, and the catholics had given up their demands for the return of the big cathedral, this church was chosen to be the new Roman Catholic cathedral. 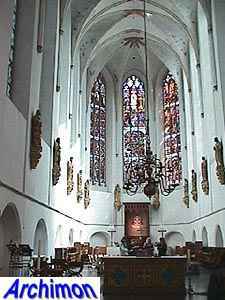 The interior was decorated in neo-Gothic style, but during a restoration in 1955 the state of the interior as it had been in 1636 was reconstructed, based on drawings by Pieter Saenredam. 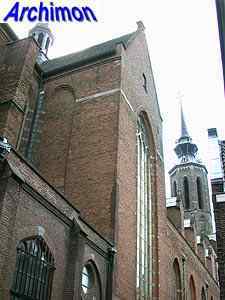 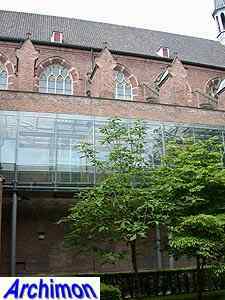 In 1898 Alfred Tepe, court-architect of the Utrecht archdiocese, was commissioned to enlarge the church. 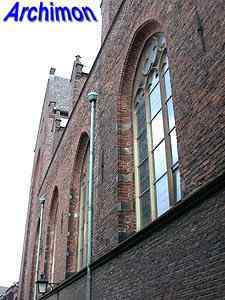 He lengthened the building with one trave to the west. 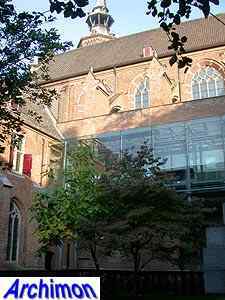 The new facade is an exact copy of the old one by Keldermans. 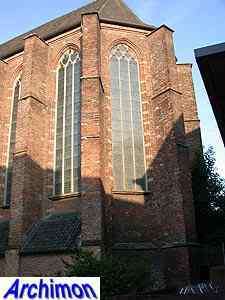 A new polygonal tower was also added in 1900, next to the facade. 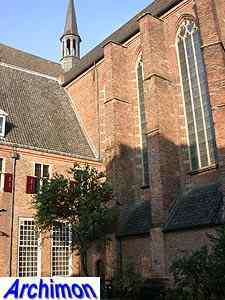 This tower was inspired by the one of the townhall in Kampen (Ov). 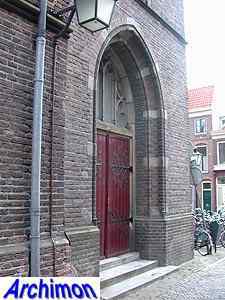 On the other side of the facade a baptistery with a stair-turret was built.